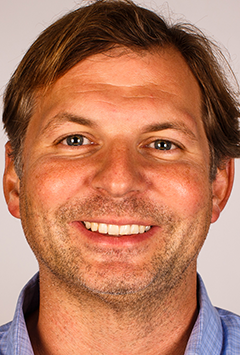 Jason White is the Senior Vice President & GM of Global Programmatic Revenue & Partnerships for CBS Interactive as well as serving as the Co-Chairman of the Programmatic Council at the IAB. Jason has extensive experience in online digital media and marketing, specifically centered on development and implementation of best-of-breed digital strategies for both digital publishers and advertisers. He has proven successful in analyzing consumer behavior trends and implementing brand, direct response and digital monetization programs with a strong background in strategy, management, sales, marketing and product development. Triple-digit revenue growth through customer acquisition and monetization initiatives can be attributed to White’s work with various Fortune 100 companies and start-ups. Before CBSi, White was an SVP and GM at OpenX. Prior to OpenX, White was SVP and GM at the FOX Audience Network building the MyAds ad platform, in addition to the third party network and the first RTB exchange, which was among the Top 5 ad networks per ComScore. White has also held roles at Bank of America and LowerMyBills. Jason serves on the advisory boards of Convertro, TrueCar, and OpenX and graduated from the University of Georgia.